Don't stress about finding a taxi at one of New York City's busy airports. Instead, book a great-value private car in advance, and enjoy a smooth, affordable, on-time private transfer from JFK International Airport (JFK), Newark International Airport (EWR) or La Guardia Airport (LGA) to your desired Manhattan location. 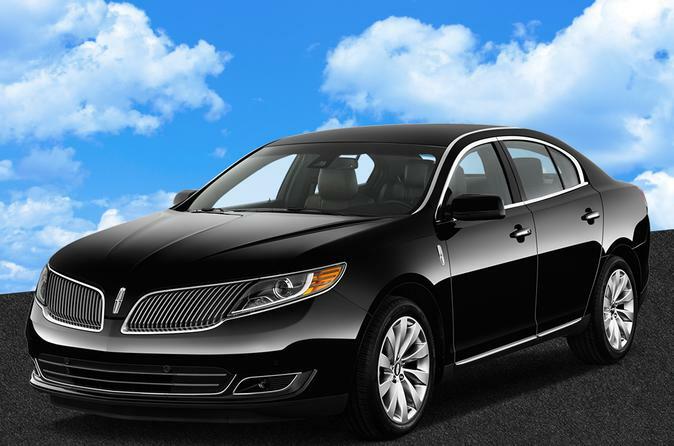 This affordable private transfer service is available 24 hours a day, seven days a week. Upon arrival at JFK International Airport (JFK), Newark International Airport (EWR) or La Guardia Airport (LGA), simply call the number listed on your voucher and your car will arrive promptly. Choose from either a sedan transfer for up to three passengers or a minivan for up to five passengers. Once you’re settled comfortably in your spacious vehicle, you’ll be driven straight to your Manhattan hotel or residence by a professional driver.